Ever wanted a glimpse at what games like Uncharted 4 and Titanfall look like before they’re finished? During production on a video game, level designers work with what they call “greyboxes,” or rough layouts that use ugly geometric models to determine the outlines of each level before they make everything pretty. 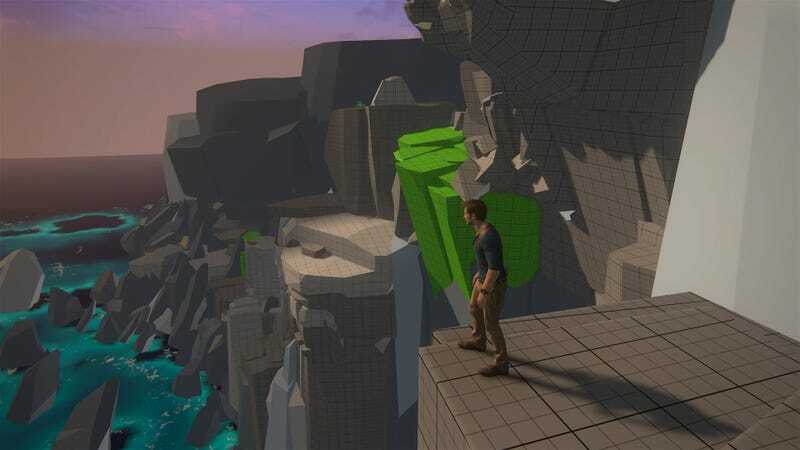 To celebrate these greyboxes (or whiteboxes, or block meshes, or the 4,000 other names that level designers use across the video game industry), Naughty Dog designer Michael Barclay started a Twitter hashtag called #blocktober for people to share their work. For more, check out the hashtag.